Fig. 4. 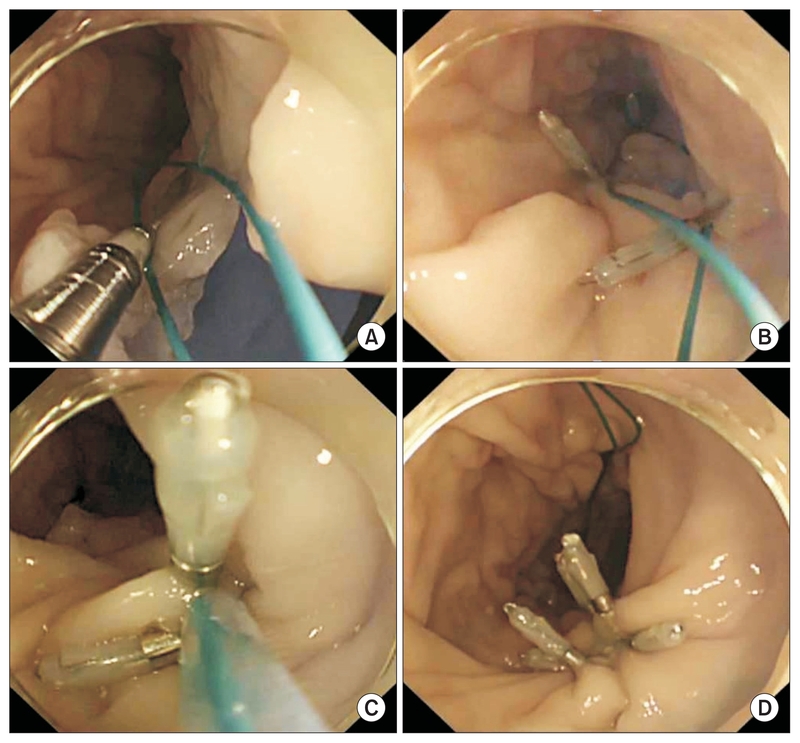 (A) The endoloop was placed around the perforated tissue through one channel of a double-channel endoscope. (B) Hemoclip the endoloop and surrounding perforated tissues several times through the other channel. (C) Tighten the endoloop to close or reduce the defect. (D) Completely close the remaining defect using additional hemoclips.